After a nice long hibernation, Bear wakes up and craves some honey. When he spots a beehive in the distance, he heads right for it! Sitting on top of the beehive is Bee who graciously offers Bear some honey, but Bear is worried. He believes that bees are big, scary creatures who do not share their honey. 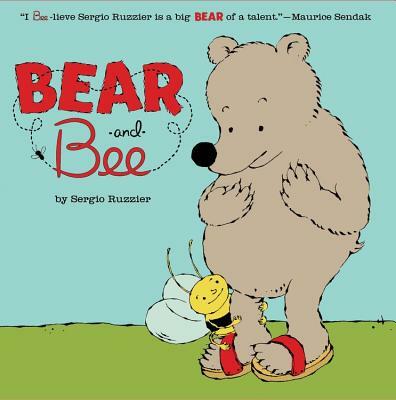 But Bear's new friend just happens to be a bee! And Bee is small and most certainly is not scary. But do bees share honey? Turns out they do! Sergio Ruzzier (http://ruzzier.com/) won the Parents' Choice Award in 2004 for his work in, Why Mole Shouted and Other Stories and has been awarded by Society of Illustrators, Society of Publication Designers, American Illustration and Communication Arts. Ruzzier has worked for many national and international magazines and book publishers, creating comic strips for Italian magazines such as Linus and Lupo Alberto Magazine. He currently lives in New York.